Personality Test: Who are You? The Four Temperaments also known as the Four Humor or Four Humours is the oldest known personality model or personality profiling system. It is believed to date back as far as the Ancient Egyptians who believed in the link between the health of the body, the elements (Earth, Air, Fire, Water) the human organs and personality or temperament. The primary emotion (or passion) was known as the Humor in literature and plays. The Four Humors (or Humoralism) as first proposed by Hippocrates, the Father of Medicine, around 400 BC, suggested that there were four key body fluids or humors (blood, yellow bile, black bile and phlegm.) Hippocrates believed that an imbalance in any of these fluids or Humors resulted in illness, pain and disease. Later, in the second century, Galen, a physician and writer introduced another perception and belief surrounding the Four Humors: Galen believed there were four basic temperaments related to the elements of which matter was believed to consist (fire, water, air and earth) and reflecting the Four Humors or body fluids: Sanguine, Choleric, Melancholic and Phlegmatic. As medicine progressed, these theories were tossed out but the key elements of personality types and temperaments has persisted till today and almost every single modern psychological personality profiling can be traced back to elements of the Four Temperaments. As you will learn from Patrick Wanis’ personality test, the Four Temperaments are also linked to the four elements and the four seasons. While there are four key personality types, the purpose of this Four Temperaments personality test or profile is to help you identify your predominant temperament. 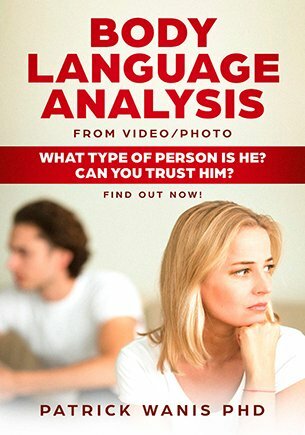 By learning more about yourself, your motivations, strengths and weaknesses and by doing the same with other people (learning and understanding them at a deeper level) you can improve not only your relations and group dynamics but you can also improve and deepen your personal, romantic and social relationships. As you understand yourself, what drives you and what you want, you will learn to accept yourself and others. You will also learn to appreciate the differences in other people and gain clarity about the types of people that are best suited to you in romantic and business relationships. This personality test also offers parents powerful insights into children, their personality types and how to use their personality to help them to develop, reach their potential and find their purpose and direction. How Easy Is The Personality Test? The test (a multiple-choice quiz) takes about 15 minutes. Patrick’s introduction, history of the Four Temperaments (Talker, Doer, Thinker, Watcher), his detailed description, interpretation and suggestions available as an MP3 immediate download. 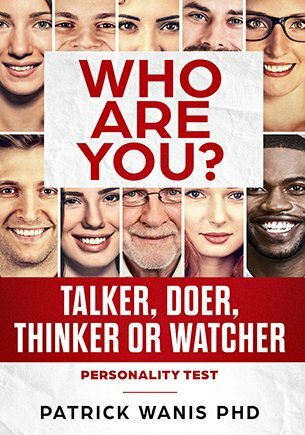 Patrick has now made his Four Temperaments (Sanguine, Choleric, Melancholy or Phlegmatic – Talker, Doer, Thinker, Watcher) personality prolife and test available as a MP3 – digital download. You also get a PDF file for you to complete the test or quiz. The PDF file is password protected so that Patrick Wanis will guide you and tell you when to take the personality test. 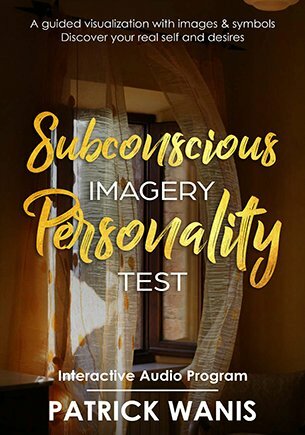 You can take the personality prolife and test in the comfort of your own home (at just a fraction of the cost of attending a live session by Patrick Wanis.) Download it right now as an MP3 file. Download the MP3 audio file immediately. If you have specific issues you would like to deal with or discuss, Patrick Wanis is available for phone consultations.